AA Education Services aims to bring people to Australia and New Zealand so they can have a wonderful cultural experience that will create fond reminisces while developing a greater cultural understanding of the country. So they are concerned that you get here in good shape for your adventure ‘downunder’. This is the guide written for those of you who want to undertake the journey in the safest possible way. So, the first aspect of that journey the guide will deal with is ‘SAFETY’. From that point we will examine HEALTH CONCERNS, STOP OVERS, BAGGAGE, and how to find CHEAP FLIGHTS. You will also feel safer on your journey to Australia and New Zealand if you keep to a well planned-out itinerary that was worked out several months before you arrive. AA International Service will help you do this. The benefit of a well planned-out itinerary is that you always know where you are going and what will be waiting for you when you get there. A well planned out itinerary should have the name of the hotel’s you will be staying at: where you can exchange currency, find food that is appropriate for you to eat because of dietary regulations or religious requirements, when your departing flight is, and if you can meet it on time because of traffic conditions, or other reasons. Many hotels throughout the world have a bed and breakfast policy, and this is usually the best option for those taking early morning flights during their journey. Flying to Australia doesn't need to be as expensive and stress full as first made out to be. The number one tip when booking a flight is remember the currency conversion, many airlines prices may be in a different currency to yours. Always check the real price it will be for you before booking your flight, there are many easy ways to check a currency rate. If the website you are looking at is in a foreign language see if they have a page made with your native language. Never book a flight on a website that you don't understand. It is always best to shop around. Different airlines offer different services and prices. Usually prices will jump during certain parts of the day, be flexible usually the red eye flights which are the flights at night are the cheapest. Always check for stop overs on your route aswell, no one wants to book a flight and then find they will have four stop overs on their way to their destination. Remember that there may be taxes involved in your fares, many people will find they have booked a great cheap flight but then have to pay for food, luggage and taxes on top of this. Make sure the final cost is the final cost and there are no nasty hidden surprises at the end of your check out. Being flexible and shopping around is the key to finding a great travel deal. For further information you can contact the friendly staff at AA Education. GotoAustralia Service through their website offers clients the chance to get cheap flights to Australia. GotoAustralia Agents in Australia and New Zealand would be willing to help because that is a part of their service that our Education Service provides. AA Education Service is the one stop shop for all the needs associated with travelling to Australia for the adventure of your life. The first thing you have to know about entering Australia, is that Australia is not as backward as many people think. So you will encounter the same sort of security set up that you would anywhere in the developed world. And on top of this, Australia has some of the strictest customs, quarantine laws and guidelines in the world. I should know, because on my first trip back from China as a young person I was greeted by the officers of the Australian Customs and Border Protection Service with a beagle who wanted to sniff my shoes because of the dirt on the soles of them that had attached to the heels after I spent an afternoon walking around a wheat farm in Northern China. They were not happy until I had given them a reasonable enough explanation for the state of my shoes. And, I am an Australian citizen! So, the point I am trying to make here is, they are painstaking and utterly determined to do their job well. So, be patient. I know you are tired. As for weather, it is not unreasonable to assume that you will enter in to Australia on a sunny day. But, remember we are in the southern hemisphere, so our seasons are the other way around and Australia can get cold. Even subzero on the coldest days of winter in the southern states. So, make sure you know the temperature before you depart. Because you may be dressed for summer fun and find you are dealing with the brutal onslaught of a South Easterly bluster. So, make sure you know what season you are in before you come down and pack accordingly! history of safety and offer passengers reasonable prices on airfares. If you go to the web sometime before your departure to Australia you can get even better deals, but you have to book some months ahead of schedule though. English is the language of the country and you need to be proficient in English to affectively conduct yourself in Australian business, culture, education and society. There are 22 million Australians and not all of them are white. We have one of the largest percentages of citizens born overseas in the world. We are only outranked by Israel in this achievement. Even America and Canada do not have the amount of foreign born nationals per capita that Australia does. Many Australians love sport and if you are sports nut yourself, than this is a good point of entry for you into the local culture. Cricket is our traditional game and is played across the country. While Rugby League and Rugby Union are only played in the Northern states and territories of Queensland, New South Wales, Australian Capital Territory and Northern Territory. Australian Rules, on the other hand is played across the country, but its spiritual home is in the southern states of Victoria, South Australia and Tasmania. Since the 1980?s Australian?s have taken a shine to sports from the US like basketball, baseball, and American football. But, they are no competition in popularity or cultural esteem as the traditional sporting codes mentioned above are. Australian?s are urbanites, as opposed to the myth of a people leaving free in the bush. 90% of Australians make their home in the city and live a life very similar to that of a European or an American. And the majority of Australian?s live on the eastern seaboard in the three big cities of Sydney, Melbourne and Brisbane and the smaller satellite cities that hover around the larger capitals. Many Australian?s have never seen the outback and many do not want too, believing that Australian identity is more in tune with the beach and sea than the dead heart of the country. So, now you know a little bit about the reality of Australia, let?s deal with the Australian Customs and Border Protection Service! Here is a tip for you before you get off the plane. Australian Customs are a lot easier to deal with if you have the appropriate documentation ready before you meet with them. People who have not been functional in doing this have waited upwards of three hours to get out of ?customs? because they were not suitably prepared to give the documentation to the officer and answer the appropriate questions. And, what is the appropriate documentation? The IPC is the most important piece of documentation that you must have ready for a customs officer to see because it has all the items and materials that you need to declare to Australian Customs written on it. Australian Customs advises people on their website to declare everything in their possession. The reason why Australian Customs is so tough on this matter is because Australia is such a unique eco-system that it needs a high level of protection from potentially dangerous foreign pests that could destroy the agricultural sector of the country. And, you don?t want to go down in history as the person who destroyed Australia do you? So, make sure everything is declared, and if you are in doubt about anything, declare it anyway. Just to be on the safe side. Here is a list of prohibited and restricted items that you must declare: firearms, Food, plants, animal and biological goods, medicines, performance and image enhancing drugs, and currency in Australian or foreign notes and coinage over $10 000 dollars. After you have given the officer the right documentation with everything you need to declare, you will move onto ?Quarantine? when your baggage will be x-rayed by officers and you may have a little talk with an officer about certain items in your luggage. It is at this point that you may encounter the Beagles and/or Labradors as they go about their duty. Officers will advise you not to pat or try and interact with the animals because they are working. They get cranky when you play with the dogs. So, after you have gone through this ordeal you can then enter Australia proper. Complete you Incoming Passenger Card (IPC) on the plane. Have the appropriate documentation ready for the officers when you get of the plane. And, last but not least: Declare everything! You can bring currency of up to $10 000 into Australia without having to declare it to Australian Customs. The law stipulates that you can bring any amount of foreign or Australian currency into the country that you like. But, anything over $10 000 has to be declared. And if you are bringing in promissory notes, travellers cheques, money orders and postal orders you may be asked by a customs officer to fill in a Bearer Negotiable Instruments (BNI) form. So, keep this in mind when you are bringing in currency and cheques and other financial documentation into the country. So, now you are out of the airport and have entered the real Australia. If you are an English speaker, Australia is an easy country to navigate. Although, if you are flying domestically you need to take into account the time it takes to fly around the country. Australia has a small population, but we are not Belgium. And, it can take you a day to get from Brisbane to Perth. But Public transport (trains, buses, taxis) in most areas of Australia are first rate and many of the transport hubs are around the universities. So, it is often quite easy to become very knowledgeable about the local public transport and use it at its most efficient. But, on your first day in the country the university that you are attending will probably pick you up using one of their shuttle services. But, from there you will have to get to know the public transport system if you do not have the funding for a car in whatever city or town you are studying in. When QANTAS first began its kangaroo flights 50 years ago it took 94 hours to get from London to Sydney. Nowadays it takes about 20 hours and the stopovers are a lot less of a practical evil than they were once. These last three are the coolest of all the stopovers mentioned and hold the greatest chance of real adventure on your journey to Australia. Here is a list of the five coolest things to do in Cape Town: the Penguin colony at Boulder / Robben Island, where Nelson Mandela the first black president of South Africa was imprisoned / the South African museum / Camps Bay Beach / The oyster lagoons of Knysna and Hermanus. Another out of the way place is Dubai. Many years ago a stop in Dubai was merely a pit stop that was endured until you could get on your way to wherever it was you were going. But, now Dubai is a destination in itself. Dubai has some of the finest shopping in the world and has a lively dance scene that hires British DJ’s of calibre of Fat Boy Slim to host the rave’s that are common nowadays in Dubai. The five coolest things to Dubai are: Stay at your hotel because the pools are usually large and it is always sunny / go ‘wadi bashing’ in a 4WD / play golf at one of the championship golf courses / view the old town of Bastakiya with its impressive early Muslim era fortifications / spend the day at Wild Wadi Water park. Is a fantastic place to visit for a young traveller, but it is a big place and you can find yourself in the wrong neighbourhood. Although most people wherever you go are quite friendly and will help a stranded visitor to their country. But, LA is a place where keeping your itinerary in check and up to date in handy. So, do not go anywhere before you know how to get there, if you have to take public transport while you are there. Many airlines offer competitive fares for you to choose from in order to fly to Australia and provide a great variety of special deals if you are coming here from another country. You can fly direct to Sydney, Melbourne, Brisbane, Adelaide, Perth, Darwin, Cairns and Hobart, which all have international terminals. You may find a range of flying and ticket options as well. Australia is a huge continent with plenty of sights to see. 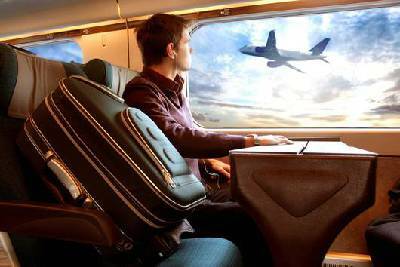 If you're here for a short time only, you may prefer to travel by air, where you will find a wide range of domestic airlines which allow you to quickly reach cities and sights. Are you scared of flying you are welcome to book courses against it via us or you may consider to travel on a ship. Email us for bookings and more travel to Australia information. Combine any bus tour with our special Qantas or Virgin Blue flights. Tell us where you want to go and we'll construct the pass for you. Use Greyhound, McCafferty's, Premier Motors, Country Link or Oz Experience. This incredible deal starts from $405 and includes unlimited stops up the tropical east coast Sydney to Cairns on an express bus company and a flight from Cairns back down to Sydney. Flights to Australia are numerous, from most major countries and are diverse in price ranges for almost all budgets. The main entry destinations in Australia are Sydney, Melbourne, Brisbane, Perth, Cairns, Adelaide and Darwin. The major Australian airline for overseas travel quotes over 150 countries currently served, so visitors from most parts of the globe are well catered for. If you are flexible in the days you select to and from your destination you will find there are remarkably cheaper flights available. Often – but not always – flights during mid week can be less expensive. Flights preceding and following major events, sporting, entertainment, holidays etc will typically be higher in cost and also having been booked solid a lot earlier in advance. So it is well advised if possible to book early and choose a date 'off-the-beaten-track' as it were, if you are looking to fly on a strict budget. Please note in the United States if you book flights directly with the desired airline, typically unless you specifically ask them if that is the cheapest flight available for that particular destination, they are not required to tell you – they quote what they can to make a profit. Going through the plethora of airline travel agencies on-line will put a vast array of competitive fare prices at your fingertips. It is prudent to pay the extra cost for travel insurance. An Air Travel Transport Baggage Report for 2010 showed 25 million bags go missing per year around the world. Unfortunately not all airlines will reimburse you for this so this is something you may wish to consider. The major air carrier in Australia is currently and typically a four star rated airline. It is a pre-eminent long-haul carrier and the second oldest in the world. It boasts the Boeing 747-400 and the Airbus A-300. These have multi-class arrangements with first class having sleeping berths available. The classes of seating are: First, business, premium economy and economy class. Visitors to Sydney or Brisbane will discover the convenience of getting around both of their airports. Outside Customs and into the Arrival Hall, you fill find yourself within easy reach of taxis and bus services. Both airports are well serviced, efficient and extremely busy airports. But it is not difficult to get around them because they are not as large as some international airports such as Heathrow. We are here to provide you with more information. So please contact us by email. If you are our client arriving at any airport in Australia, pick-up and transfer we can organise transport for you on request. Please book this air port pick-up some days bevore your arrival. However it is not difficult to organise transfers to your hostel, home stay or student accomodation. Travel from Sydney airport to the city costs around AU$10.00 by shuttle bus and AU$25.00 by taxi. In a recent tie-up between Darwin administration and Philippine Airlines (PAL), travellers can now easily travel from Manila to Darwin and vice versa from June 1, 2013. The new setup will not only boost tourism in Australia but also promote education in Northern Territory as foreign students will be able to arrive in Darwin easily through numerous affordable flight tickets to the city. In fact, the tie-up has generated a new competition with the already operating Jetstar airlines. Many low priced tickets and travel deals have now been introduced – a big relieve to international students coming over to Darwin. To know more about such discounted student flights to various cities in Australia, check with us.